upload your own print-ready design file, or let us create your artwork for you! No artwork? Our designers can create it for you! Affordable business card printing. Restrictions apply. Lithographic PANTONE© printing inks available. Business card designs for various trades and industries. Try our fast next day service for UK based companies, or if your business is located in London we could deliver your cards the very same day. Ordering cards for a UK based business? Our dedicated web to print solution is ideal to keep your costs down. 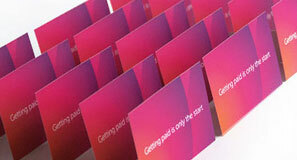 Cards Made Easy can provide you with a competitive price for a great selection of print materials and finishing. Printed on high quality extra thick materials. 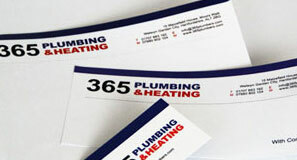 Lamination, folded, plastic, raised ink, metallic foil and round corners available. Printed on a superior gloss 135gsm. 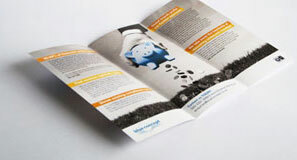 Including A4, A5 and A6 sizes for leaflets that are flat or folded. Great printing at a low cost! 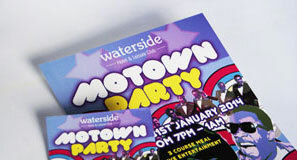 Sizes include A4, A5 and A6 for both flat and folded digitally printed full colour flyers. Expert printing on high quality 100gsm matt paper using either CMYK digital and lithographic PANTONE© colour. Printed on both 135gsm silk or 100gsm matt paper. 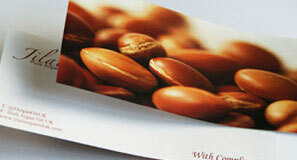 Harnessing the latest digital print techniques to produce exceptional corporate stationery. Printed on a value 270gsm matt material. 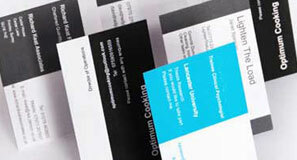 Pick from a range of affordable business card templates and add you company details.